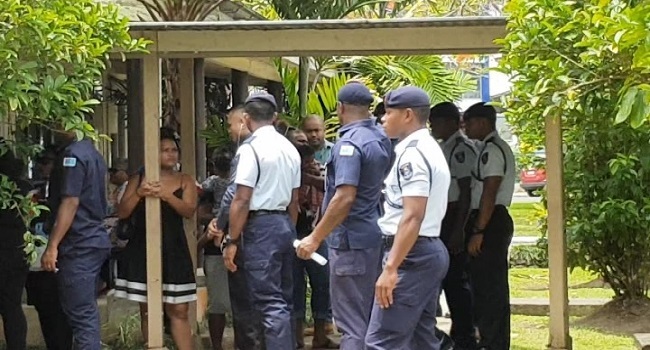 The Fiji Police Force is looking at ways on how best to deal with remanded prisoners held in courthouse cellblocks while awaiting their hearings. Police Commissioner Brigadier General Sitiveni Qiliho has confirmed receiving reports that some remanded prisoners are given too much liberty. Reports have surfaced that some remanded prisoners are given the leeway to use their phones and even walk about freely with no handcuffs despite being escorted by the officer on duty. Brigadier General Qiliho says this is under investigation in light of the recent escape from the Suva courthouse cellblock. Brigadier General Qiliho says they don’t want to reach a point where his officers are fraternizing with prisoners. The Police Chief also highlighted they’re now awaiting a decision from the Judiciary after testing the video-conferencing of remand prisoners. He says that can be one of the ways escapes can be avoided.